Kee Lay Lian graduated from the National University of Singapore in 1985 and is called to the bar in 1986. She has been at the firm since 1986 and she has dealt with a diversity of cases ranging from banking, insurance, trade marks, land law, employment disputes to commercial and family law. With 3 decades of experience in a range of cases, Lay Lian currently specializes in Family Law, Adoption, Commercial Litigation and Trust. She has successfully dealt with complex family cases involving cross-jurisdiction issues over assets, maintenance and children. She also act in contentious probate, trusts and succession disputes. 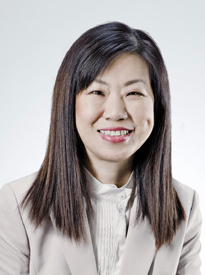 She is listed as Preeminent family lawyer in Leading Singapore Family for Divorce Lawyers, 2015 by Doyles Family Lawyer Guide. Acted for Chinese claimants to establish their claims in a trust case where the estate of a tycoon was held in trust for 48 years before distribution. This involves the Chinese law on marriage and adoption. Acted for a listed Hotel in employment issues and on various tenancy matters. Acted for insurance companies in third parties’ claims and performance bonds. Probate, trust, adoption and matrimonial disputes. Acted for Claimants against a hospital for medical negligence suit. Acted for brain injury victim in a road accident. Rendered expert opinion on Singapore Family Law for foreign litigation. Litigation and advisory work including separation, prenuptial and postnuptial agreements, divorce, children and financial disputes often involving cross jurisdictions, substantial assets and urgent applications to prevent disposal of assets etc. Wills and wealth planning involving testamentary trust and substantial assets worldwide.